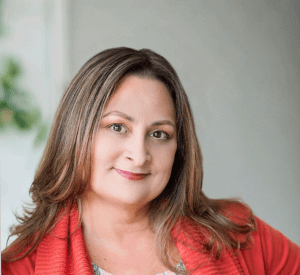 Over the past 25 years, Michelle Boucher has been a 6-time entrepreneur, an accomplished speaker, instructor and presenter, and an award-winning marketing executive in software and healthcare technology. Born and raised in Los Angeles, Michelle served in the US Air Force, started her first software company at age 23, sold it for millions, wrote a book and then went on to found four more tech-based companies. Michelle’s notoriety includes the creation of the first pink baby stroller which she custom designed and sold exclusively world-wide through her e-commerce baby boutique, Baby Outfitters, in 2002. Her creation won award and she was responsible for changing the stroller industry forever, selling to celebrities like Christian Bale and Julia Roberts, and landed national television appearances on shows such as Extreme Makeover: Home Edition, Good Morning America and The Oscars. In 2011, Michelle became VP of Marketing for a newly acquired HIT company who demanded explosive growth in the electronic health record market. Her creative, 8-point targeted content marketing strategy generated 7 figures in 6 months, producing award-winning notoriety for the organization as the leader in EHR solutions in that market segment, for three consecutive years. In 2014 she co-founded HITMC with John Lynn, the first marketing conference for healthcare IT and continues to support the event with presentations and workshops. Michelle’s successes have won many industry awards, and her marketing programs have delivered tens of millions to the bottom lines of many companies. In 2016, Michelle started her consulting business working with healthcare IT companies to help them establish market presence and grow using her targeted marketing strategies. In 2018 she productized her marketing strategy as a complete 12-week course called Niche Market Mastery, which she delivers to business owners and marketing executives via online courses, personal consulting and group workshops. Michelle is a dynamic, energetic and funny presenter, speaker and instructor. She personally invests herself in seeing every one of her clients and students achieve massive success using what she teaches to achieve their own niche market mastery.